In the corporate world, no one is an island. Companies rely on teams of hard workers to be successful. 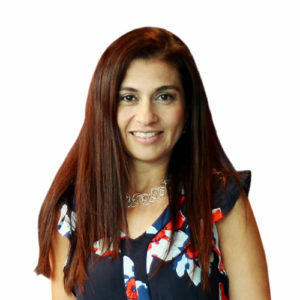 Daniela Martinez, director of purchasing for North America at family-owned BENTELER Automotive, proudly admits that she works diligently to develop viable relationships inside and outside of the Tier 1 automotive supplier—not just because it makes sense but also because her job depends on it. In her experience, internal and external relationship building has been the key to her success. Good internal relationships with her team help resolve problems and build morale, and positive external relationships with suppliers improve efficiency. Employees make the difference: their competencies, their motivation, their courage, and their ambition drive BENTELER every day. Because people are the key, the company focuses a lot on employee satisfaction and develops its ambitious people continuously. Relationships also inspired her as a child. Born in Mexico City, Martinez never knew her father; he died twelve days before she was born. Her mother, Consuelo, raised her alongside Martinez’s grandmother, Dora. They were Martinez’s earliest and strongest role models. Daniela Martinez provides three action steps for directors who want to establish better relationships with their team members. Have a personal connection with your team, and understand their needs, backgrounds, and hobbies. If you have happy employees, you have good results. Develop their strengths with appropriate training and coaching. This will help them be ready for the next step in their careers. Recognize and appreciate employees—and not just monetarily. Use thank you cards or send an email to acknowledge their work. Encouraged to pursue engineering by a science teacher, she graduated from the Universidad Autónoma de México with a degree in chemical engineering. But her path toward becoming a purchasing director had already begun with an internship in 1994 in the purchasing department at a Mexican chemical company. She encountered a bump in the road when she was promoted to production manager at a previous company. She held that position for eighteen months, but when she saw the job notice for a procurement manager at BENTELER Automotive, she jumped at it. She applied online, and after a three-month interview and assessment process, she was offered the job in January. Three people welcomed her to the company and have supported her ever since: Erika Lapish, vice president of human resources; Don Luby, vice president of purchasing; and Martin Weidlich, executive vice president of the NAO region. BENTELER is a leading global company that develops, produces, and sells products, systems, and services for the automotive, energy, and engineering sectors. Martinez works in the automotive division, which is the largest of the three with more than seventy plants in twenty-five countries; this division is always close to its customers. In particular, Martinez is responsible for purchasing activities in the United States and Mexico. Her bilingual skills have certainly come in handy, and Martinez admits that while she can communicate in both languages, understanding cultural differences has really been critical to managing the teams. Another challenge Martinez faces is the limited face-to-face interaction she gets with her teams, particularly in Mexico. Communicating by phone and email doesn’t always project the feelings and emotions needed to motivate. “A phone call or an email isn’t personal. That’s the biggest challenge,” she says. To offset this, she tries to meet regularly with her teams and suppliers to explain goals and objectives, learn their goals, and ask for feedback.